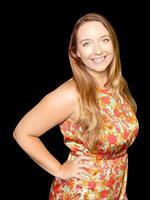 sarah jo gates - broker associate/realtor® serving Boulder county & Denver communities. Are you thinking of buying a home in the greater Longmont area? Finding the right home can be a difficult process but no matter what you are looking for, as an experienced REALTOR® in Colorado, I can provide you with the resources you need to make the home buying process much simpler; from specific neighborhood information, to tools that estimate your mortgage payments, along with buyer resources and articles, consider ME your guide through the Colorado housing market. Thinking about selling real estate in the greater Longmont area? No matter which market you're in, you can use the marketing programs and experience of a qualified REALTOR® like me to help sell your home quickly and at the right price. Learn more about my service, see information about recent home sales in the area, or contact me to chat more! *FREE CMA (Comparative Market Analysis) for anyone on the fence about selling - let's get started TODAY! Are you interested in learning more about what makes these communities so special? Please take a few minutes and browse the various local neighborhood pages, school details, real estate mortgage information and interactive maps. Thank you for visiting! And please - don't hesitate to reach out, no matter your question or need. I'm always happy to help. 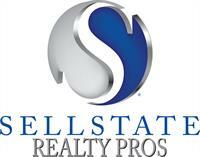 Sarah Jo is a Broker Associate with Sellstate Realty Pros. Having grown up in the Historic Westside of Old Town Longmont, she has a thorough understanding of the area and a true appreciation for the community as well. She's thrilled to be helping others call Longmont and it's surrounding Boulder county areas "home".